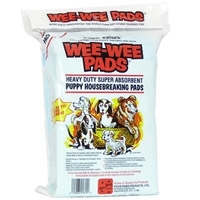 These pads are scientifically treated to attract your puppy. They have a plastic lining that prevents damage to floors and carpets. "An innovative solution to house training issues! 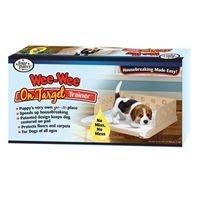 The Wee Wee On Target Trainer has fasteners where the pad is anchored in place- the pet cannot move it! 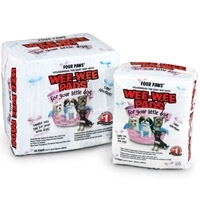 Made of high impact plastic, the three sided, 'corralling' feature of the Wee Wee On Target Trainer prevents 'missing the pad'. 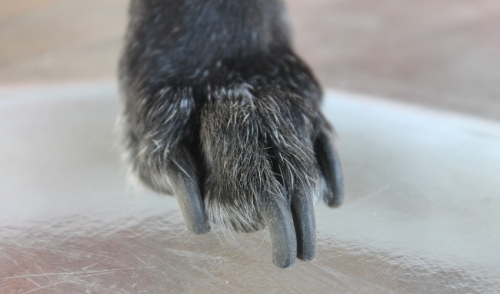 Once the dog is trained to use the center of the pad, the side walls can be removed. 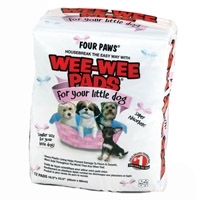 The On Target Trainer fits all standard puppy Wee-Wee Pads (22” x 23”). One free pad included! " 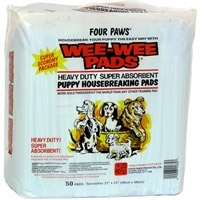 Housebreak your puppy the easy way with Four Paws Little Dog Wee-Wee Puppy Pads. 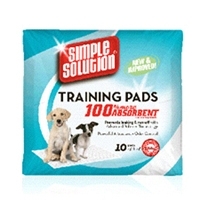 These heavy-duty, large, super absorbent puppy training pads are specially treated to attract your puppy like magic. He'll be naturally attracted to eliminate on the pad. Just keep moving it closer to the door, then outside, and in no time, your puppy is housebroken. 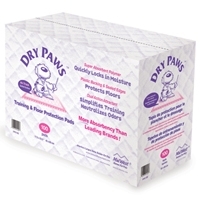 Dry Paws™ Training pads are constructed of a super absorbent polymer and quilted to quickly lock away moisture and bacteria keeping your pet healthy and your floors clean. 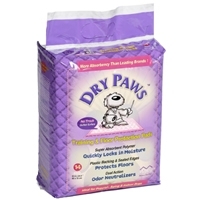 Dry Paws™ Training and Floor Protection Pads! 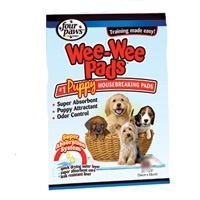 New and available today from Midwest Homes for Pets, the industry leader in Pet Training products! ? 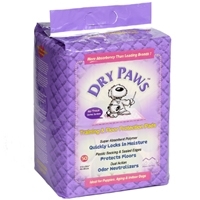 ?Dry Paws™ Training pads are constructed of a super absorbent polymer and quilted to quickly lock away moisture and bacteria keeping your pet healthy and your floors clean. 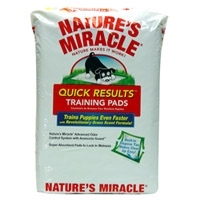 NATURE’S MIRACLE™ Quick Results Training Pads offer you superior training features and help to prevent odors from spreading throughout your home. 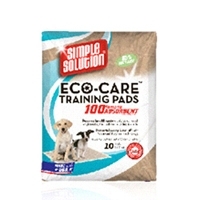 Now 100% more absorbent - holds 10 times more liquid than standard economy pads. Accelerates training time by encouraging instinctive elimination. 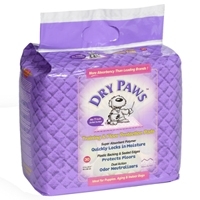 Guards against odors by inhibiting the growth of microorganisms. 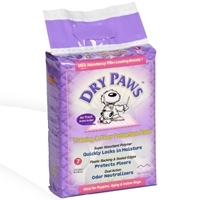 Absorbent core draws in wetness to prevent messy tracking. 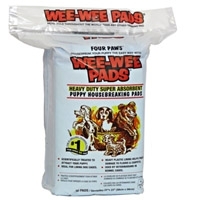 5-layer construction traps more urine for repeat use or larger, breed pets.